When history takes a census of men and women who have made impact and affected the society, what should indeed count, apart from social, economic development and values on the national scale, is critically the step down on how specific individual lives and organisations that have been positively touched. 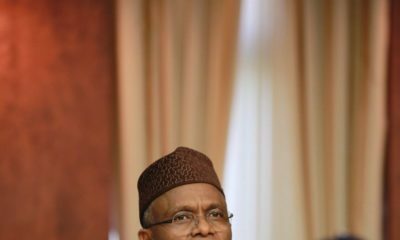 A public opinion analyst, Emefu Ibeayoka, writing from Abuja, the Federal Capital Territory, takes a cursory look at a young Nigerian Banker, who in his early forties, has already realised decades of achievements, very few Africans within the same age and opportunity brackets can only imagine. Drawing from a religious allegory in the popular Parable of the Talent with specific reference to the wise and faithful servant who got the highest number of 5 talents, doubled them and entered the joy of his master, reminds one of the powerhouse of the Balogun Business Empire, Ladi Balogun. The lad who was bequeathed the responsibility of developing and sustaining a legacy in an outfit during the period when a lot of bigger and stronger banks in the pecking order speedily went under in Nigeria, did not disappoint. The current Group Chief Executive of FCMB Group Plc, did not allow his very comfortable background to becloud his determination to pursue the impeccable career he set-out to achieve. Once the youngest CEO in the Nigerian Banking industry, you are right, a youth and visionary leader, motivator, teacher and entrepreneurship expert, one is correct. Retail and Investment Banker per excellence, you are good to go. A profound architect in mergers and acquisitions, a management consultant and people’s manager, you are spot-on. 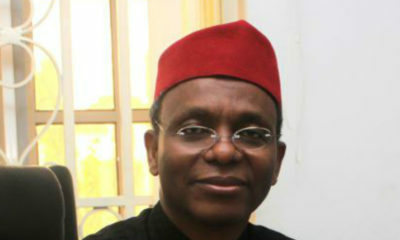 Nasir El Rufai, Governor of Kaduna State at the 2017 Annual Blacktie and Award ceremony of Harvard Business School Association of Nigeria (HBSAN) which held in Lagos recently, recounted how civilised climes, from the cradle set-out to train their leaders, send them to the best schools in the world and then create platforms for them to take-up leadership and work in the public service. He decried Nigeria’s condition whose case is the opposite. The country is said to have been politically occupied largely by illiterates, thoroughly uneducated, uninformed and mentally dormant persons who go into politics and take-up positions of leadership and authority. In their mediocrity, they let the country down. 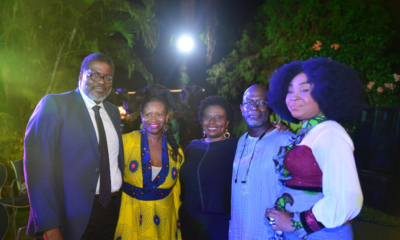 A prominent Nigerian who does not want his name in print, at that event, wondered why a Ladi Balogun, who was the President of Harvard Business School Association and even like his father, the Founder of FCMB (Otunba Dr M. O. Balogun, Olori Omo-Oba Akile Ijebu) would not touch politics in Nigeria with the longest spoon. To the observer, the journey here indeed, is very far if he and his likes continue to run as fast as their feet can carry them, when it comes to steering the ship in the area of politics and leadership outside the business paths. The observer called on the Federal Government of Nigeria and the present administration to conscientiously and urgently find a way to convince such calibre of persons to bring in their knowledge and skills to advance the affairs of the nation as currently needed. The cerebral Banker who sits as the Group Chief Executive of FCMB Group Plc, a holding company with interests in commercial and investment banking, investment management and pension administration, having successfully completed his tenure as the Chief Executive Officer of First City Monument Bank Limited. Under Ladi Balogun, FCMB Group which has an operating history of about 40 years in Nigeria, since the establishment of its investment banking business, is said to have over 500,000 shareholders, recording over N1 trillion in assets. The President of the Otunba Tunwase Foundation, a charitable organisation focused on the health and welfare of children has spent 24 years in the banking industry working in the United Kingdom, USA and Nigeria. 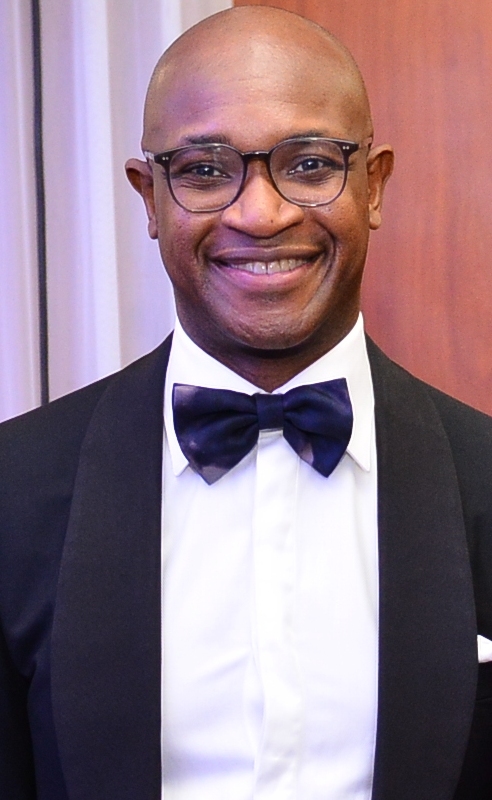 Balogun began his professional career in 1993 at Morgan Grenfell and co. Limited, one of the United Kingdom’s most prestigious investment banks, which was later consolidated into the investment banking division of Deutsche Bank. Subsequently, he proceeded to Citibank, at one time the world’s largest financial services institution, in the USA, and was responsible for structured trade finance covering Central and Eastern Europe Middle East and Africa. The Chairman of Tenet Investment Company, an impact investment company focused on wealth creation for smallholder farmers in Nigeria has spent the last 20 years at First City Monument Bank, rising to the position of Group Managing Director and Chief Executive Officer. He led the team that transformed the bank from a small merchant bank with less than 200 employees to a large commercial bank with 10,000 employees, over 4 million customers, 200 branches and a banking subsidiary in the United Kingdom. He led the acquisition and integration dynamics of FCMB with 4 banks over the last 15 years. He also midwifed the establishment of some of FCMB’s most significant subsidiaries including Nigeria’s largest and fastest growing micro-lending organisation, Credit Direct Limited. In March 2017, Ladi Balogun became the Group Chief Executive of FCMB Group Plc and with his hands on the plough, decided to delve into the sphere of Pension Administration. Recently, the financial expert who has soft spot for Agriculture, Micro, Small and Medium Enterprises, youth development and women empowerment, led his team at FCMB Group Plc to acquire majority stake in Legacy Pension Limited. His target was to broaden the holding firm’s service offerings with the group already offering commercial and retail banking, investment banking, asset management, and trusteeship services. The successful completion of that transaction brought FCMB Group’s shareholding in the pension firm to 88.3%, thus becoming its largest shareholder. It is revealed that under Balogun, FCMB Group Plc, developed into one of the front line conglomerates with the richest pedigrees in financial services in Nigeria. The broadening of its holdings to include a controlling stake in a PFA is very likely to open a new vista of growth and stability to its already established income streams. The bank’s 4 million customers, 200+ branch network and strong digital presence are fertile grounds for the rapid growth of this new addition to his group’s portfolio. He holds a Bachelor’s degree in Economics from the University of East Anglia, United Kingdom and an MBA from Harvard Business School, United States of America. He has attended many leadership training programs in Nigeria and abroad. He has spoken at several high level leadership fora and delivered lectures at public and private citadels of higher learning. Ladi Balogun’s leadership resulted in the successful transformation of First City Monument Bank Limited from a merchant bank to a top 10 commercial bank in Nigeria across key metrics. During this period, the bank has emerged as a leader in consumer finance, agricultural banking and electronic banking. Uhm . . ok. So what does he want? All this plenty story yet una nor include how he likes women both married and single? Story not complete! @Randonmer, he does? I need to meet him then cos there’s a business idea i will like to run by him. next vice president under pdp, atiku/ladi balogun or rabiu kwankwaso/ ladi balogun ticket.